Gilberto Gerena Valentín: My Life as a Community Activist, Labor Organizer, and Progressive Politician in New York City. Gerena Valentín is a key figure in the development of the Puerto Rican community in the United States, especially from the 1940s through the 1970s. He played an active part in the founding and development of all the major Puerto Rican organizations in the postwar period. He was also a pioneer in the creation of coalitions with the principal African American civil rights organizations, playing a central role in the mobilization of Puerto Ricans in the famed marches in Washington in 1963 and 1968 and in the New York City school boycott of 1964. 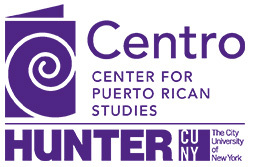 In his memoir, he takes readers to the center of the fierce labor, political, civil rights, social and cultural struggles waged by Puerto Ricans in New York from the 1940s through the 1970s. The memoir, written by Gerena Valentín and edited by Carlos Rodríguez-Fraticelli, was originally published in Spanish.